Kittilä is a municipality of Finland and a popular holiday resort.It is located in northern Finland north of the Arctic Circle within the Lapland region. Start off your visit on the 25th (Sat): don't miss a visit to LUVATTUMAA - Levi Ice Gallery, make a trip to Giewont Husky Adventures, and then fly down the slopes at Yllas Ski Resort. On the next day, identify plant and animal life at Santa"s Cottage & Pet Farm, then see exotic creatures in open habitats at a safari tour, then get your game on at Kid's Land, and finally admire all the interesting features of Ice Karting Levi. To find traveler tips, other places to visit, and more tourist information, you can read our Kittila online attractions planner . 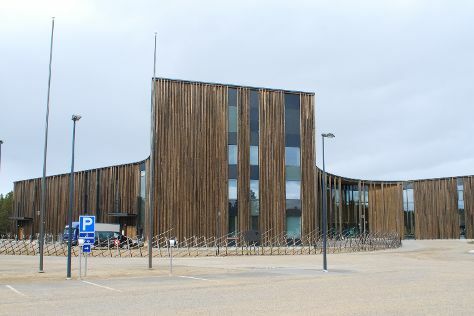 Amsterdam, The Netherlands to Kittila is an approximately 9.5-hour flight. You can also drive. The time zone difference moving from Central European Time (CET) to Eastern European Time (EET) is 1 hour. In January, Kittila is colder than Amsterdam - with highs of -11°C and lows of -22°C. Cap off your sightseeing on the 26th (Sun) early enough to go by car to Muonio. Muonio is a municipality of Finland.The town is located in far northern Finland above the Arctic Circle on the country's western border, within the area of the former Lappi province. Kick off your visit on the 27th (Mon): glide through natural beauty at Pallas-Yllastunturi National Park. To find ratings, traveler tips, photos, and other tourist information, go to the Muonio trip itinerary planner . You can drive from Kittila to Muonio in 1.5 hours. In January in Muonio, expect temperatures between -13°C during the day and -22°C at night. Wrap up your sightseeing on the 27th (Mon) early enough to travel to Inari. 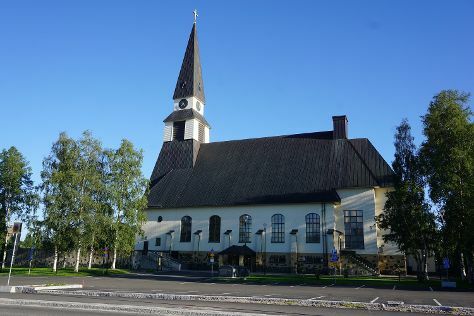 On the 28th (Tue), take a stroll around The Sami Cultural Centre Sajos, pause for some serene contemplation at Pielpajarvi Wilderness Church, and then examine the collection at Siida. To see reviews, where to stay, more things to do, and more tourist information, you can read our Inari trip itinerary app . Getting from Muonio to Inari by car takes about 3 hours. January in Inari sees daily highs of -11°C and lows of -20°C at night. 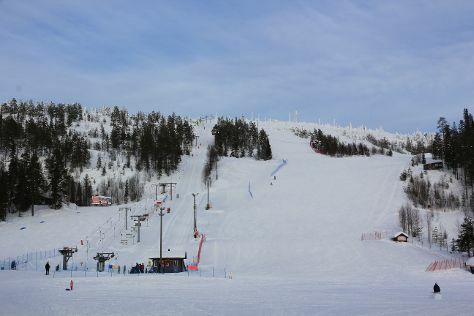 Cap off your sightseeing on the 28th (Tue) early enough to travel to Salla. Salla is a municipality of Finland, located in Lapland. 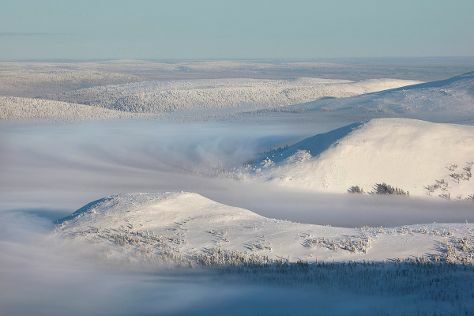 Kick off your visit on the 29th (Wed): hit the slopes at Salla Ski Resort, then brush up on your military savvy at Salla Museum of War & Reconstruction, and then steep yourself in history at Paikanselan Taistelualue. Find out how to plan Salla trip without stress by asking Inspirock to help create an itinerary. Traveling by car from Inari to Salla takes 4.5 hours. In January, daily temperatures in Salla can reach -11°C, while at night they dip to -19°C. Wrap up your sightseeing on the 29th (Wed) early enough to travel to Rovaniemi. On the 30th (Thu), hit the slopes at Ounasvaaran Hiihtokeskus Oy, then take in the architecture and atmosphere at Rovaniemi Church, then snap pictures at Lumberjack's Candle Bridge, and finally make a trip to Lordi's Square. Get ready for a full day of sightseeing on the 31st (Fri): browse the collection at Rovaniemi City Library, then look for gifts at LAURI, and then experience the excitement of Feelapland. To find traveler tips, where to stay, and tourist information, read our Rovaniemi visit planning app . You can drive from Salla to Rovaniemi in 2 hours. In January in Rovaniemi, expect temperatures between -10°C during the day and -17°C at night. Cap off your sightseeing on the 31st (Fri) early enough to travel back home.